Rebuilt Dana Truck Differentials and Parts. We offer the complete line of rebuilt Dana Differentials and all related repair and replacement parts for trucks and heavy equipment. Rebuilt, New and Good Used Dana Differentials and Parts. Rebuilt Dana truck differentials. Inspected used Dana truck differentials. Can you really afford to trust something so integral to the operation of your Dana rebuilt truck or heavy equipment to a roadside shop or truck stop mechanic. All of our rebuilt Dana differentials are professionally rebuilt with genuine OEM Dana parts for the finest quality and reliability available on the market today by our certified, factory trained rebuilders. High quality parts and professional installation equate to reliability and longer life meaning more money in your pocket. The Worlds largest rebuilt Dana differential supplier offers same day shipping anywhere in the World at discount prices. Our professional, certified rebuilding services for your existing Dana differential and our rebuilt differential exchange program are second to none in the industry. We back it up with a one year unlimited mileage warrantee and a name trusted throughout the industry. We will also pick up and deliver truck differentials worldwide and buy rebuildable Dana differential cores. When it comes to the Dana differential that you depend on to make your living or one in your fleet of trucks, our rebuilders truly are the pros and we have no issue in providing our credentials to prove it. You want it done and done right. 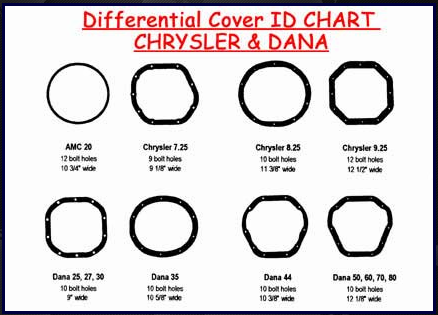 We offer all the latest technologies offered by Dana when rebuilding your differential. Professionally rebuilt Dana differential exchange (Chunks) are an excellent alternative to rebuilding your unit yourself or paying a roadside shop or truck stop to do it for you. We use only genuine OEM Dana replacement parts in all our units and have factory trained, qualified professional rebuilders on staff who know how it's done right. This guarantees the highest quality rebuilt Dana truck differentials available today, built to the correct specifications and tolerances provided by your data tag information guaranteed. You simply can't afford to have just any mechanic rebuild such an important and expensive part for your truck, for your money maker? Take yours out, put ours in and your back on the road with exactly the correct setup for your rig. Fast and easy. Every rebuilt Dana truck differential comes with a one year unlimited mileage warrantee. Let's see that roadside shop or truck stop back that up. Our rebuilt differential exchange program works as follows: We deliver your rebuilt, factory reman or new Dana differential from one of our rebuild centers located throughout the USA to your shop or service center and when your ready, we send a truck back to pick up the core. We even pay for the return shipping. We work with shops all over the World and can deal directly with the service manager on your behalf. You can also purchase any rebuilt Dana differential outright, (without a core) and have it delivered, however a core charge may still apply on certain units. Factory remanufactured Dana differentials are subject to the factory exchange procedures. Simply put, a rebuildable core must be received. Our rebuilt Dana differential exchange program replaces your existing differential with a freshly rebuilt unit of the same specs or upgraded to suit your needs. We ship you a rebuilt differential today and you ship back the core. We even pay for the return shipping. Core charges may apply and will be included with your quote. Core charges are refunded when the core is returned and inspected as rebuildable. Meaning the case is intact and can be reused. All factory reman units are subject to the manufacturers core policy unless bought outright without a core charge. Our distribution centers are located throughout the US for fast reliable delivery. Our massive inventory of Dana truck differentials and parts can supply you with the right part the first time or a complete professionally rebuilt truck differential built to the specs you provide. Rebuilt Dana differentials, parts and exchange from the leader in the industry: Rebuilt Dana truck differentials, rebuilt Dana tractor trailer differentials, rebuilt Dana heavy equipment differentials, rebuilt Dana semi truck differentials and parts delivered anywhere on the planet. For all your rebuilt Dana differential and differential parts needs. One call does it all. Best price and availability guaranteed. We stock: rebuilt Dana truck differential, rebuilt Dana semi truck differential, rebuilt Dana heavy equipment differential, rebuilt Dana farming differential, rebuilt Dana industrial differential, rebuilt Dana agricultural differential, and repair and replacement parts and supplies. Rebuilt exchange program. Rebuilt Dana differentials and all related repair parts for all makes and models with same day Domestic and Dana shipping. We also offer rebuilt Dana Drive Axles, Axle, Ring and Pinion, Crown Wheel and Pinion, in stock and ready to ship today. All rebuilt Dana models as well as parts, front rear and rear rear units, bearing kits, rebuild kits, crown wheel and pinion sets, seal kits, bearings, shim kits, axle seals, yokes, u-joints, drive shafts, axles, housings, covers, seals, ring & pinion, spider gears, power divider, posi-traction, spools, Detroit lockers, axle gears, seals, bearing overhaul kits, diff case parts, rear ends, carriers, spider gear sets, pinion yokes, housings, master install kit, pinion nut and much more. 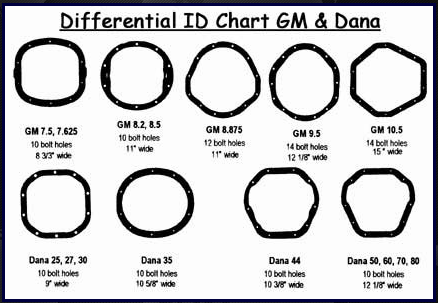 Any part for any Dana differential ever made. Rebuilt Dana Differential Exchange Program.